Hanover, 14 January 2016 – Anywhere where a robust belt with superior grip is required, Forbo Movement Systems’ new blue belt (E 8/2 U0/R10 LG blue FDA) with longitudinal grooves is an excellent choice. 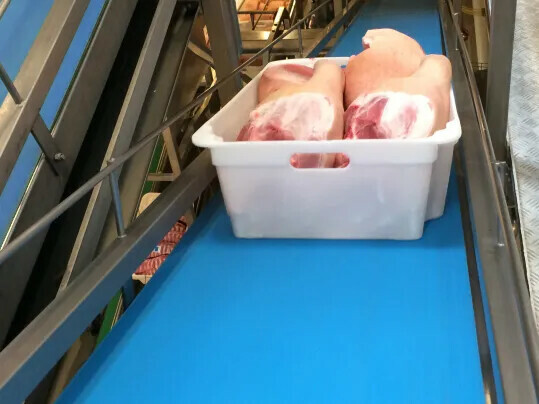 The conveyor belt was developed especially for inclined conveying of crates and boxes (E1 boxes) in the meat, poultry and fish industries. Moisture and grease play a big role in these industries, so boxes and crates slipping are a major risk. 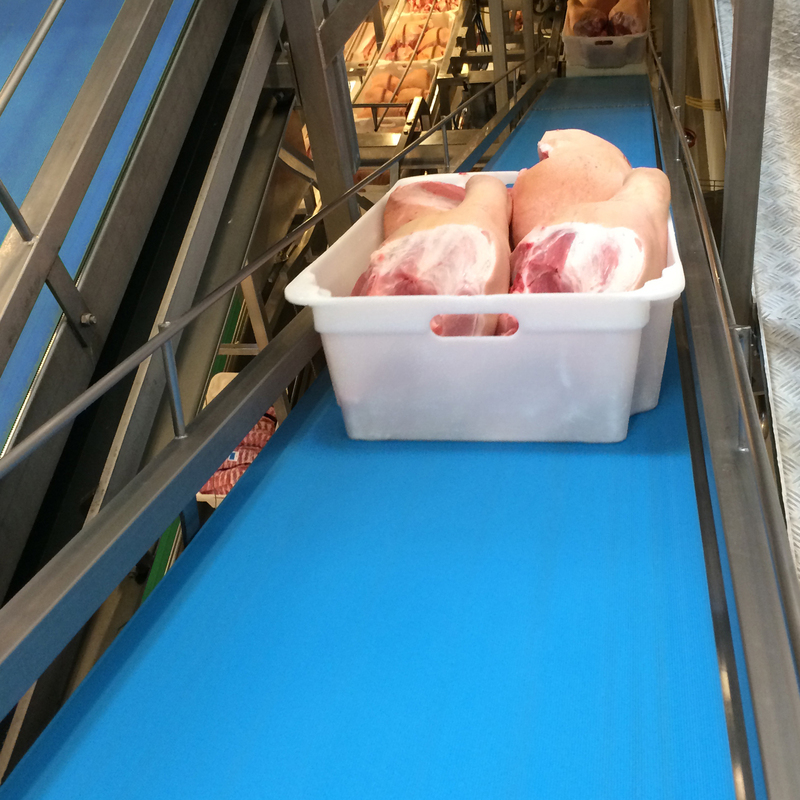 Due to its special HighGrip top-face coating with an LG surface pattern, the conveyor belt is ideal for this application. Under these extreme processing conditions, the high friction coefficient between the product and the belt is maintained and therefore always guarantees good grip. Forbo Siegling’s E 8/2 U0/R10 LG blue FDA is an equally reliable option for cutting and packaging machinery, where positioning and keeping packaged and unpackaged foodstuffs in the right place are vital aspects.